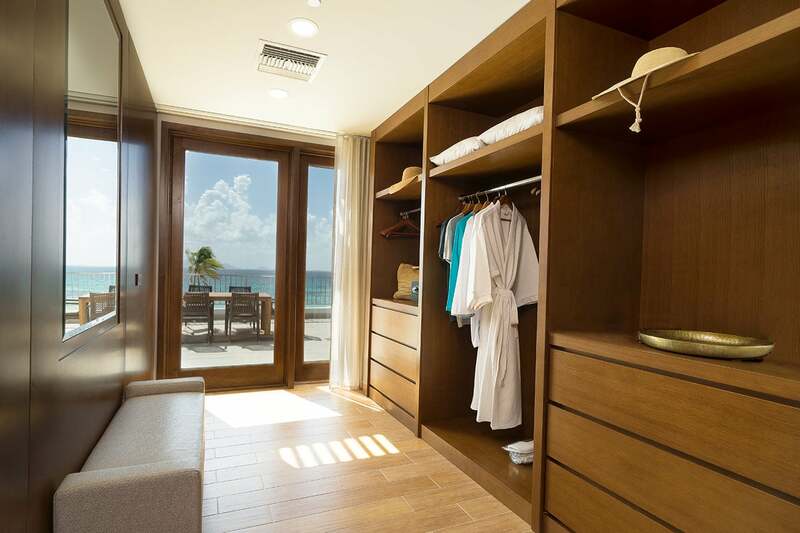 Sleek design and smart technology await inside The Reef suites, where luxurious touches include espresso machines, freestanding tubs and walk-in closets. 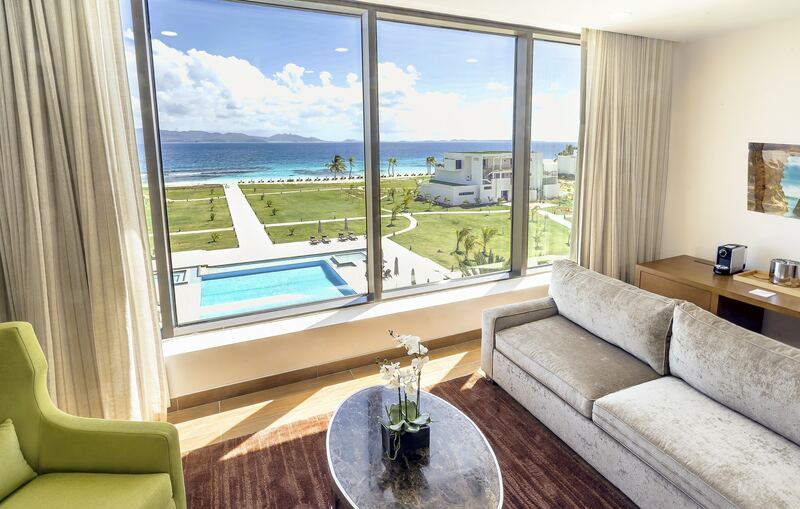 In the main building you’ll overlook the golf course or the Caribbean shore. 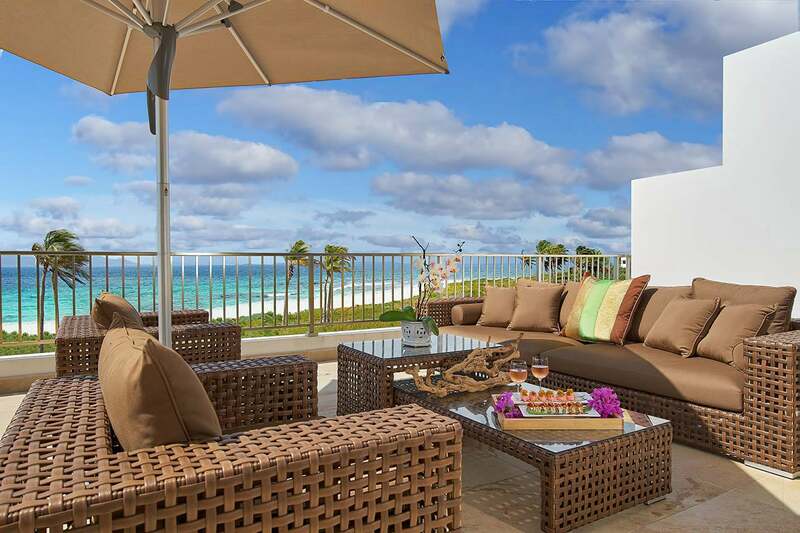 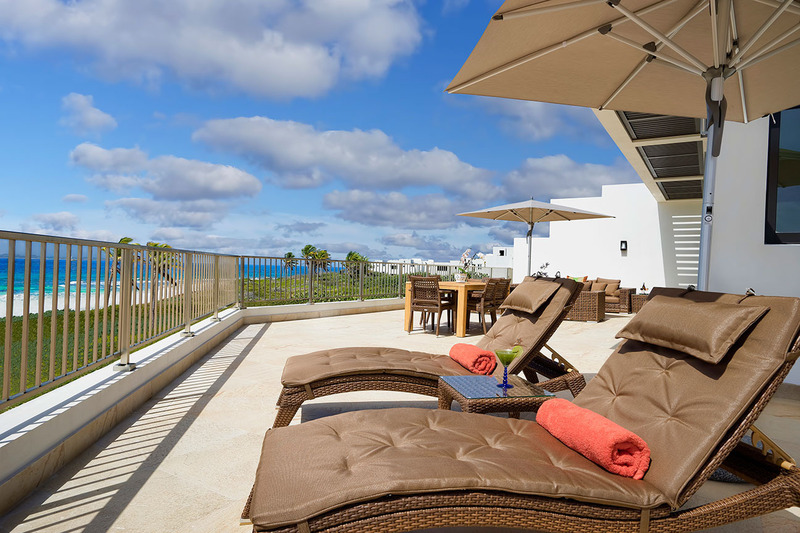 Beachfront building accommodations come with a terrace, balcony or sundeck. 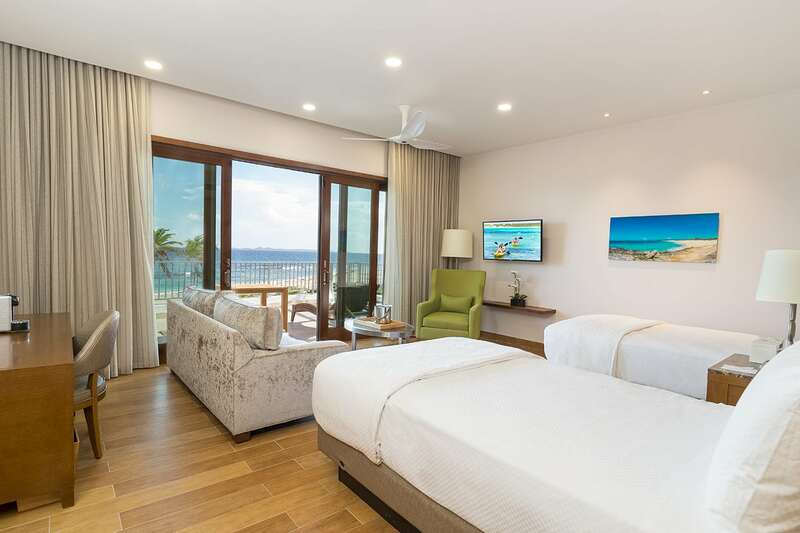 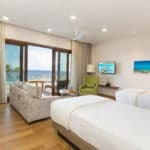 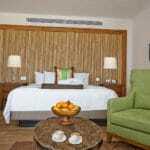 The Deluxe Beachfront Suites, two with outdoor Jacuzzi, also feature wraparound balconies with dining areas and outdoor showers. 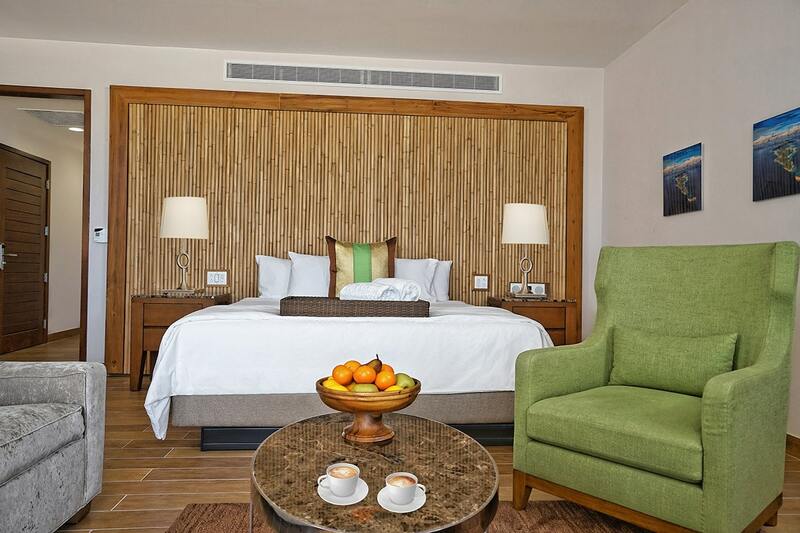 There are also Family Suites for a true generation travel experience. 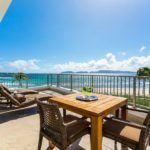 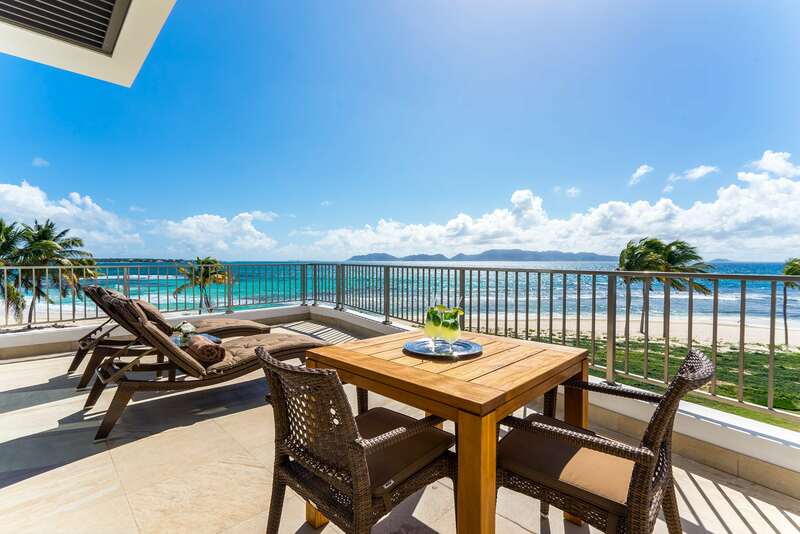 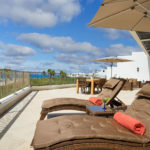 The Caribbean views are the star at The Reef by CuisinArt, Anguilla. 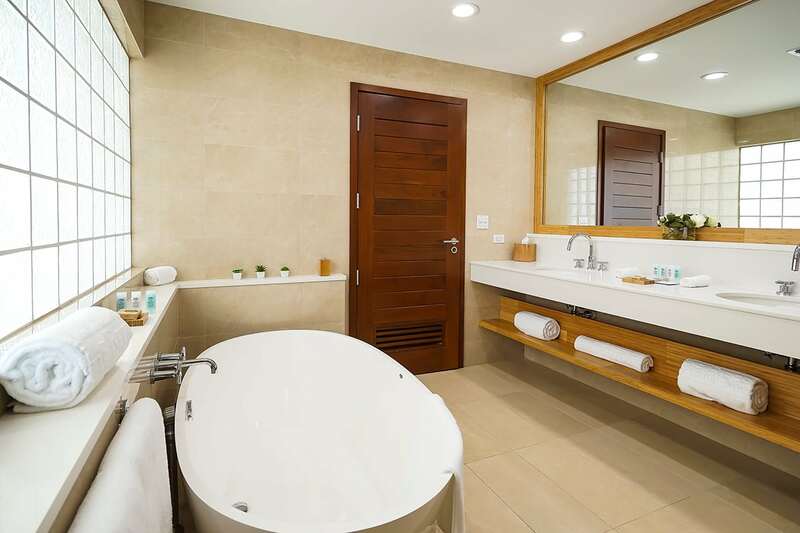 Curved around a bay of porcelain sand and cobalt sea, almost every window frames a sublime scene. 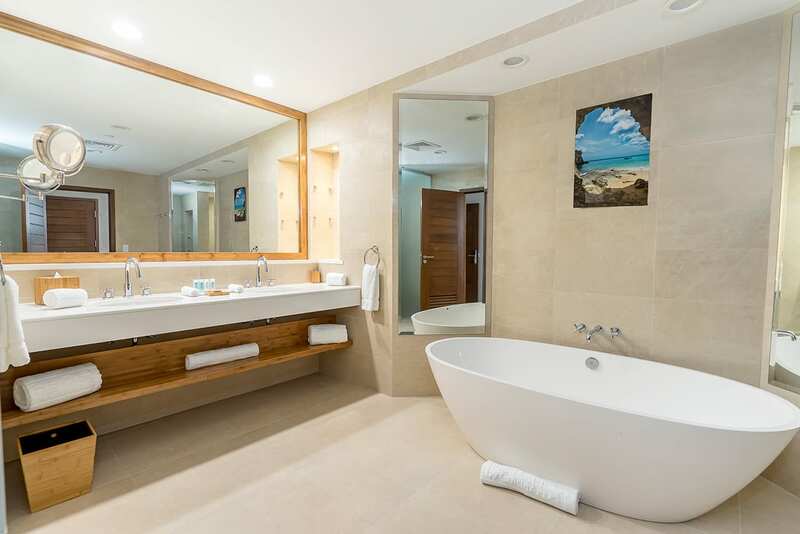 That natural beauty inspires the interior palette; sea-foam white and splashes of gentle color that call to mind coral beds. 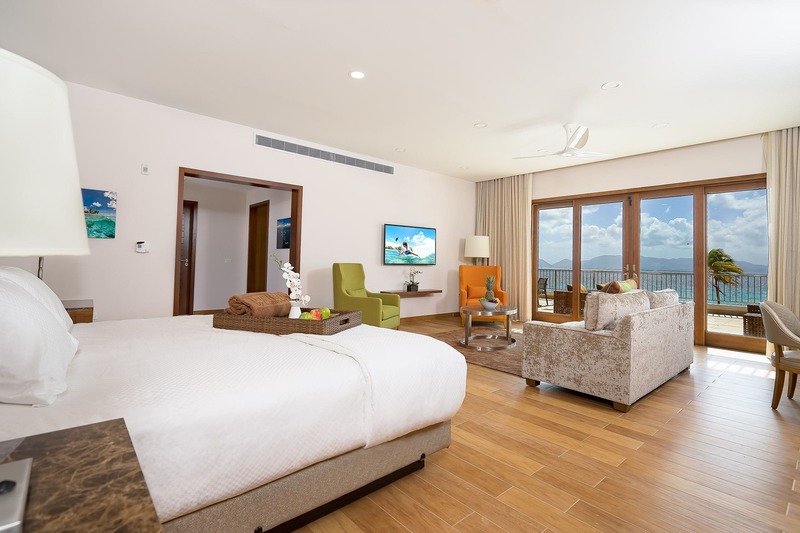 Contemporary styling completes the picture, from the dazzling lobby to the smart technology dotted throughout the luxury suites.